The introduction of the £5 and £10 polymer notes have been a big step forward in reducing counterfeiting on these two notes. However, the counterfeiter’s focus is increasingly on the existing £20 note. Steve Robinson, UK & Ireland General Manager at Safescan, explains how their products are helping fight the counterfeiters and the opportunities when selling to your customers. 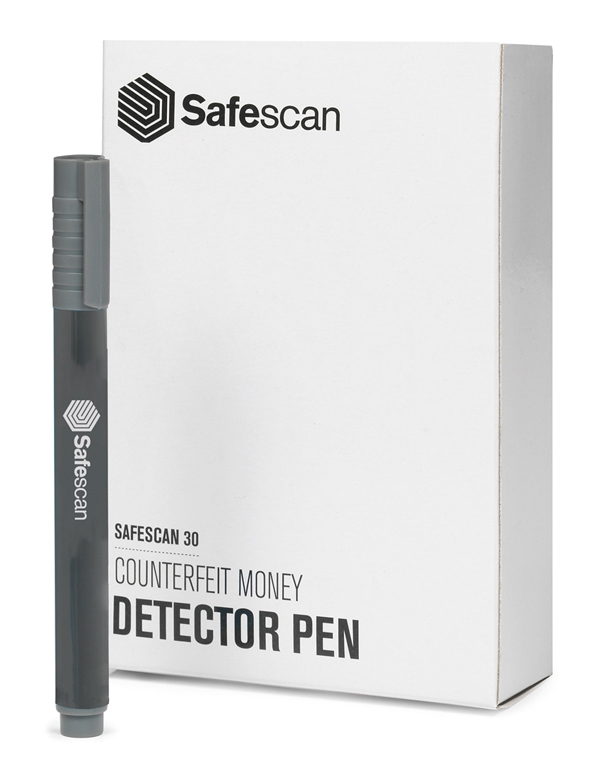 The starting point for counterfeit detection is, of course, the Safescan 30 detection pen. This pen works by reacting to the presence of starch in the fake paper notes, which turns the ink black. There is no starch in cotton that is used to produce genuine £20 notes – no starch means no black line! However, and it is a big however – counterfeiters work hard to improve their fakes and one of their ‘tricks’ is to coat the fake paper note with a lacquer coating that tries to limit the ink getting through the surface of the note to the starchy paper inside. What this means is that you, as a reseller, may sell detection pens that do not react to the fake notes in the way that they should because of this interference of this lacquer. So the customer takes what is assumed to be a genuine note (based on no pen mark) only to find that the bank will not accept the fake note. This is bad for the customer and looks bad on you, the reseller. It is much better to upsell the customer to a more reliable detection method such as a UV lamp (such as the Safescan 50 or 70) or an automatic detection device (such as the 155-S). Do the maths yourself on how many undetected fake £20 notes you need to take to cover the cost of a UV lamp – 1 or 2? 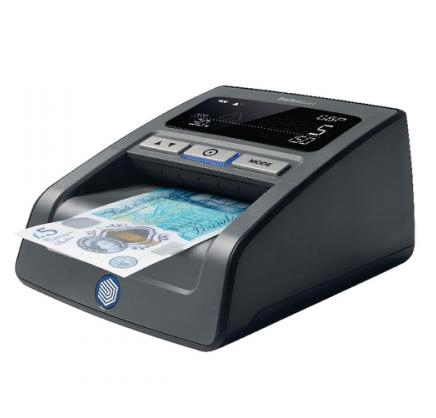 These devices detect numerous security features in the notes to maximise the chance of identifying counterfeits. The UV lamps do require some user knowledge to know what to look for. But an automatic detection device like the 155-S requires no knowledge – just feed the note into the machine and it will show which notes are genuine and which are fake – 100% of the time!! So, do your customers a favour and encourage them to demand 100% detection every time. « Our World Cup Caption Competition – Final Week!